So lovely!! I must've ordered the chevron die because of this number!! A gorgeous layout! Those flowers are amazing! 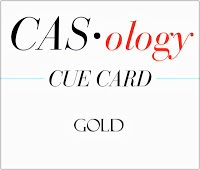 Beautiful colour combination - love this fresh card! Love the soft pastel colors with the gold accents ~ great combination of the floral and geometric designs! beautiful color choices and wonderful design! so pretty... love the little touches of gold! This is so very pretty. I love your colorful zig zags and gold accents. Maureen I see you worked your magic here, clean, simple and gorgeous! 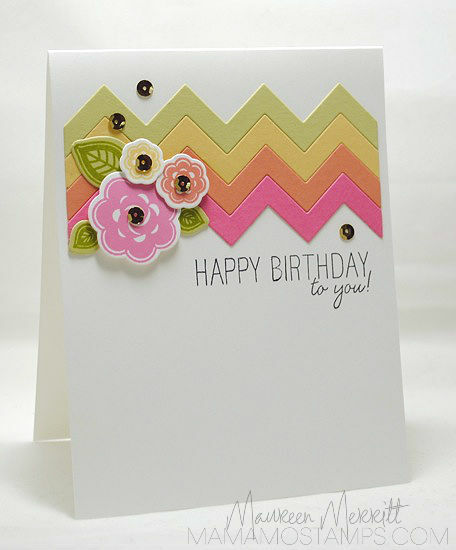 Gorgeous card Maureen...I love your chevron colors, so soft and sweet and your bits of gold sequins, just perfect. So pretty! Love the colors and the layout. I must be the last one on the sequin bandwagon since I haven't used any on cards yet. I guess I better rectify that soon and get some on my next shopping trip since you have inspired me! Maureen, your gold chevron and sequins are wonderful! Lovely colors, such pretty flowers!